Hackers have apparently published thousands of Twitter passwords after cracking their way into Twitter's user database. 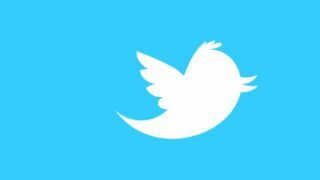 If you've received a message from Twitter prompting you to change your password, it's possible that your account was among the 55,000 compromised. The passwords, email addresses and usernames were posted over five Pastebin pages by unidentified hackers – some suspect that hacking collective Anonymous are behind the breach but there's no evidence yet to confirm that. What's odd is that most of the affected accounts look like spammy bot profiles and although some do look legit, Twitter has confirmed that more than 20,000 are duplicates and some passwords posted are actually incorrect. A Twitter spokesperson told us, "We are currently looking into the situation. In the meantime, we have pushed out password resets to accounts that may have been affected. For those who are concerned that their account may have been compromised, we suggest resetting your passwords and more in our Help Center. "It's worth noting that, so far, we've discovered that the list of alleged accounts and passwords found on Pastebin consists of more than 20,000 duplicates, many spam accounts that have already been suspended and many login credentials that do not appear to be linked (that is, the password and username are not actually associated with each other)."